John Cameron, known as John “Mor’ Cameron, meaning Big John Cameron, was born probably at Invermaillie in Inverness-shire, near Achnacarry in Lochaber, in the parish of Kilmallie. His parents were Angus Cameron and Anne McIntyre. The age of 100 given in reports of his death was probably overstated, 90 being more likely, giving a birth year of around 1790. At some point, John Cameron must have moved to Morvern. Achranach (or Achranich) was part of the Ardtornish estate at the head of Loch Aline in the parish of Morven, in Argyll. John Gregorson purchased the estate in 1819, having previously rented it from the Duke of Argyll, and for a time was Sheriff for the district. Achnagoun/Achnagaun is near to Achranich. Based on information provided for her death registration, Janet McGregor was born in Argyll, Scotland to John McGregor, farmer, and Ann St Clair, and was married at Lismore to John Cameron when she was 17 years old. If she was 94 at the time of her death this would put the marriage in 1803, but it is more likely that her age was around 84, which would put the marriage in 1813, a better match for the birth information for her children and their name order, and her birth year as around 1796. In any event, the family of John Cameron and Janet McGregor which set sail on the Blenheim in 1840 included 7 sons and 2 daughters. After arriving in New Zealand, John Cameron may have worked on the road from Kaiwarra to Wellington, but later explored in the Wairarapa and obtained a property on the shores of Lake Wairarapa. During this period, Angus Cameron was drowned in Lake Wairarapa and then his brother Duncan was drowned in Cook Strait. In 1850, the Wairarapa farm was sold to Charles Matthews, and the Camerons moved initially to Porirua, and then to Turakina, where they were among the first settlers. Their first property in the Rangitikei was called “Invermaillie”, but after a few years John and Janet moved to another property up the Turakina Valley which they called “Glenmore”. They later moved to Mangahoe in the Hunterville district, before returning to Turakina. Janet (McGregor) Cameron died on 9 November 1880, with her age given as 94. Her death registration noted that she died at Turakina Valley. She was the daughter of John McGregor and Ann St Clair; born in Argyllshire, Scotland and had been in New Zealand for 40 years; was married at Lismore, Scotland, to John Cameron when she was 17; and had 4 sons and 2 daughters living. The informant was her grandson, John Baldwin, Turakina Valley. The earthly remains of this venerable old gentleman were interred in the Turakina Cemetry on Saturday last. The funeral cortege was the largest ever seen in the district, among the number being nearly all the old pioneers of settlement on the coast. The procession started from the late residence of the departed in the Turakina Valley, and entered the township in the following order. Two carriages containing the pall-bearers, the Minister (Rev. J. Ross), the undertaker and piper. Then came the hearse, followed by two carriages containing the nearer relatives as chief mourners. The carriages were followed by eight grand-daughters on horseback and more than that number of grandsons, also riding. Then came eight carriages filled with friends and neighbors, followed by about 60 others on horseback. As the cortege rounded the Valley road into the Turakina road the pedestrians to the number of 60 or more formed in file and followed on. The cemetery was also attended by a large number of women and children. As the grand-daughters entered the Cemetry they were each handed a wreath of flowers which were dropped into the grave at the conclusion of the services. The Rev. J. Ross performed the last sad rites, delivering an impressive address suitable to the occasion. Business in the township was entirely suspended during the day. THE LATE MR J CAMERON. (FROM A CORRESPONDENT.) On my return from the funeral of the late John Cameron, senr., of Turakina, I fully intended to have sent you a full description of it, but I found every part of the ceremony so much the same as that adopted at the funeral of his wife, who departed this life about two months ago, that a repetition would not have been interesting to many of your readers. I will, however, give a brief account of the last days of the old man, and a short biographical sketch of a few of his ancestors, which I hope will be interesting, at least to his friends and neighbours, among whom he has sojourned for the last forty years. On the 19th January, 1881, at the ripe age of a hundred years, old John Cameron passed away from the midst of his family, deeply lamented and regretted. He had been ailing for some time previous, but, excepting the decay of nature, there was nothing painful attending his latter days. Saturday, January 22nd, was fixed for the funeral, and, as the day was remarkably fine the attendance exceeded that at the funeral of his wife. At 1.30 p.m., the pipes commenced ‘Return no More’ and the procession moved on from his residence, some hundred and fifty horsemen and several conveyances following. As on the former occasion, when the cortege reached Glenmore, the residence of his son Archibald, a halt of ten minutes was made for refreshment, and here many joined the procession, which with others at the village was swelled to upwards of two hundred. Business was entirely suspended, and the whole of the inhabitants were in attendance at the graveyard. The Rev. John Ross performed the service and gave a very impressive address, which was listened to with silent attention, and the scene and the grave thus closed over one of the best and noblest specimens of our nature and the pride of his family. His stalwart frame, manly bearing, and simple honesty and generosity will be long remembered by all whose lot it has been to enjoy his acquaintance and friendship. To allow one, who has contributed so largely to advance and promote the interests of our adopted country by his own industry, as well as that of a large family who accompanied him here nearly forty years ago in the ship Blenheim, to pass away without comment, would be a reproach to the community, and I can only wish that some one more able to do justice to his memory had taken up the task. However, to me it is a labour of love, and if critics will let it pass, and you consider it worth a place in your columns, I shall feel well repaid. During the few days that have elapsed since the funeral I have endeavoured to collect some little information about the ancestors of our departed friend, and I learn that they have all descended from the clansmen of the Great Lochiel, whose attachment to the House of Stuart, and his determination against his own judgment to share the fortunes of the Pretender, or, to use his own words, of “His Prince,” proved not only disastrous to his followers, but fatal to himself. Mr Cameron’s great grandfather, Dugald McDugald, followed him at Preston Pans, where he fell after cutting to pieces with his broadsword many of the muskets of the enemy. His grandfather fell at Culloden, and his father died at the age of eighty-eight. His family consisted of eleven sons and three daughters. Charles was mortally wounded with Abercromby in Egypt. Alexander served in Holland, and was paymaster of the regiment. Dugald served in Ireland, and was cut down by a cannon-ball while engaged with the French. The regiment lost its colours, but next day the whole of the French were made prisoners, and the colours recovered. Evan and John served with Fassifern, in the 92nd Highlanders, all through the Peninsula War and at Waterloo, where they fell with their chief. One settled in America; two others came with John to New Zealand. One of them, Allan, was considered the most powerful and best built man in Wellington. Angus died in Turakina, aged eighty-four, the other died in the Highlands. Mr Cameron was accompanied to New Zealand by his wife, seven sons, and two daughters, who with four of the sons survive him. They are all settled in the neighbourhood of Turakina, where, with their families, they may form the nucleus of a clan wealthier, if not so powerful or so warlike as their forefathers. As noted in the newspaper article quoted above, there is a suggestion that two brothers of John Cameron also emigrated to New Zealand, including Allan Cameron, who came out on the Blenheim (see Allan Cameron and Janet Grant), and an Angus Cameron, who died in Turakina aged 84. The passenger list does not refer to any relationship between the families, unlike that referred to in the comments on Donald Cameron and Ewen Cameron, both of Trislaig, which identified them as brothers, or between Dugald Cameron of Glenmore and his brother Duncan, who did not embark. Possibly this was because unlike the others referred to, John and Allan Cameron were not personally known to Donald McDonald, and in any event, Allan Cameron did not appear on the main list in which comments were made. However, in The History of the Camerons of Springhill, material from Robert Cameron’s journal in describing the voyage of the Blenheim, refers to advice he received from his father’s cousin, Charles Cameron, who was around 18 at the time of the voyage. The fact that both families were involved in the illicit distillation of spirits, one in Turakina and the other in Gollans Valley might also suggest a common heritage. The evidence is less clear in relation to Angus Cameron, who emigrated on the John McVicar in 1857 with his wife and two of his children, and was joined at Turakina in 1864 by his older son Duncan and his family. Angus Cameron was in fact 80 when he died, and his parents were Angus Cameron and Annie (or Mary) McMillan, which would mean at the least a different mother from John Cameron. The newspaper obituary for Angus Cameron in the Wanganui Chronicle of 6 June 1876, and family references, do suggest a relationship, but its nature cannot be confirmed as necessarily familial. The Old Parish Register for Morvern recorded that to John Cameron, residenter, Achnagauna, and Janet McGregor a lawful son John was born on 6 January 1816. The Blenheim passenger list had John Cameron as a ploughman of 26. On 25 September 1855 John Cameron married Mary (Robertson) Cameron, formerly Mitchell, widow of Donald Cameron. Donald Cameron, the son of Donald Cameron and Mary McPherson, was also on the Blenheim. Mary (Robertson) Cameron, formerly Mitchell, died on 5 June 1887. Her death registration noted that she was 66, her father was Alexander Robinson, carrier, she was born in Scotland and had been in New Zealand for 40 years, and was married in Wanganui to John Cameron. She had three female children living, aged 30, 28 and 27. The cause of death was dropsy. There was no reference to any of her other marriages. Margery (Mysie) McGregor Cameron, born in 1856, died in 1915, married Robert James McAlley in 1883. Janet Robertson Cameron, born in 1859, married Thomas Reid Dodson in 1886. Frances Mitchell Cameron, born in 1861, died in 1936, married James Alexander Bailey in 1882. Angus Cameron was described as a labourer of 24 on the Blenheim passenger list. Angus was apparently drowned in Lake Wairarapa. The Old Parish Register for Morvern records that to John Cameron, residenter, Achnagauna, and Janet McGregor a lawful son “John” was born on 14 September 1820. While the name given is not Charles, the rest of the facts appear to fit, so perhaps there was a mistake somewhere along the line. 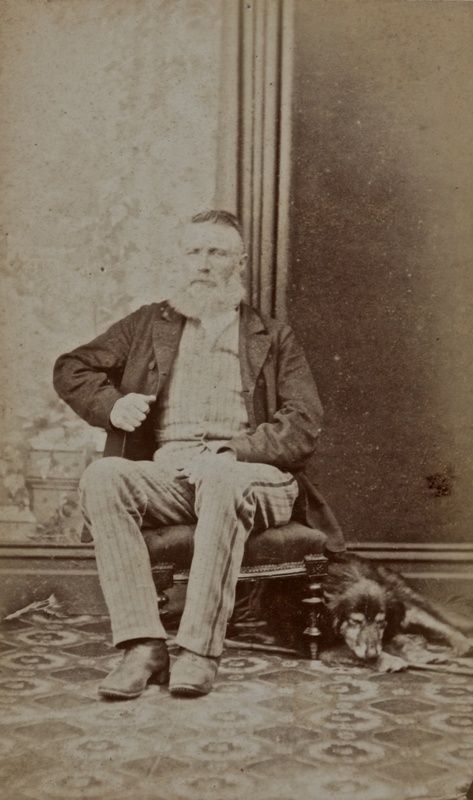 Charles Cameron was a labourer of 20 when he sailed to New Zealand on the Blenheim in 1840. Charles Cameron married Catherine McKinnon on 1 January 1860. Catherine McKinnon was born around 1833 in Morvern, Argyll, Scotland. In 1869 Charles Cameron faced a charge of the illicit distillation of spirits. In April 1869 police found a still on Charles Cameron’s property in the Turakina Valley and initially charged John Cameron, senior, and Ewen (Hugh) McIntosh, but these charges were withdrawn and new charges brought against Charles and Dugald Cameron. The Wanganui Herald of 28 May 1869 reported on the outcome of a hearing before the Resident Magistrates Court in the case of Collector of Customs v Chas. and Dugald Cameron. The Resident Magistrate, Walter Buller, Esq., noted that the Distillation Act carried a presumption that if an unlicensed still was found on the certain premises then guilty knowledge on the part of the owner of the premises is presumed, and a conviction must follow, but the Act enabled the Court to give the accused the benefit of any doubt that might exist as to any real complicity in the offence by allowing a very wide discretion as to the measure of punishment, ranging from a fine of £50 to a term of imprisonment. In the present case, the Magistrate noted, there was no direct evidence before the Court to connect the defendants with the illicit distillation that had been carried on, or with any participation in the profits arising therefrom, and he therefore fined each defendant £50 and a moiety of costs. An appeal against the conviction failed. It is with sincere regret that we have to record the death of another of our sturdy old pioneers in the person of Mr Charles Cameron, of Ratamapua, Wangaehu, and formerly of Invermarlie, Turakina. The deceased gentleman, who was the eldest son of the late John Cameron, of the Turakina Valley, was in his ninetieth year, and enjoyed excellent health up to within a few days of his death, in fact he rode up to Fordell, and came on to town on the morning of the Caledonian sports on January 22nd last, and as usual took a prominent part in the day’s proceedings. But he had, nevertheless, a presentment that the sands of time had nearly run their course with him, and, in bidding good-bye to many of his old cronies, he said he felt that that was his last outing, and that they must not forget him when next they met, as he would then be “a silent member of a doleful cortege.” On his return journey home, not feeling well, he stayed with Mrs Wm. Chapman, Fordell, where he passed away after a few days’ illness. The deceased was a true type of a real old Hielan’ Laird, a man of sterling integrity whose word was his bond. Hospitable almost to a fault, his door was always open, and no one ever passed his home without being asked to come in and have a meal and a night’s lodging if necessary. He was a man of the most genial disposition, but he lacked not the Highland temper, and he proved a doughty warrior when any man dared to disparage the men of Auld Scotia. But quick as he was to anger as quick was he to shake hands and be friends again, and all those who had the pleasure of sharing in that friendship might well be proud of knowing one who was always a friend, come weal or woe. The “Commodore” as he was familiarly called by the old identities will be greatly missed by his large circle of friends and relatives, and to all the latter we beg to tender our deepest sympathy. The late Mr Cameron leaves a widow and grown up family, among whom are Mrs James Higgie (Okoia), Mrs William Chapman (Fordell), Mr D. Cameron (Fordell) and Mrs Charles Cameron, jnr. (Turakina Valley), also a number of grand-children besides a brother (Mr Dougald Cameron), and a sister (Mrs Cumberland McDonell) and a very large circle of near relatives to mourn his loss. There was an exceedingly large attendance of mourners at the funeral of the late Mr Charles Cameron, of Wangaehu Valley, which took place on Sunday. The remains were conveyed from Fordell to Turakina, and amongst vehicles which followed were two brakes containing some twenty-six members of the Wanganui Caledonian Society, which body the deceased had been prominently connected since its inauguration thirty years ago. A very large number of settlers followed the procession, which was about a mile in length. As the procession wended its way past the house to the main road, on past Wangaehu, and again on arrival at Turakina, the laments “The Land of Leal,” “Lord Lovett’s Lament,” “Flowers of the Forest,” were played by Pipers Mackenzie Forbes, C. McDonald, and Muirhead. There was a very large crowd of sorrowing friends waiting the arrival of the cortege in Turakina. The service at the house was conducted by the Rev. Mr Ross, that at the graveside by the Rev. R. McCully. The pall-bearers were the following members of the Caledonian Society:—Messrs T. Copeland, Jas. Dempsey, R. G. McNiven, D. Stewart, A. Strachan, and D. Urquhart. Many handsome wreaths were laid on the grave, one of the most noticeable being that sent by the Wanganui Caledonian Society. This wreath was a magnificent one and was finished with Cameron tartan. John Cameron, born in 1861. Duncan Cameron, born in 1863, married Eliza McDonell (cousin) in 1888. Elizabeth Cameron, born in 1864, died in 1906, married John Baldwin (cousin) in 1888. Janet Cameron, born in 1866, died in 1959, married James Higgie in 1884. Sarah Cameron, born in 1868, died in 1913, married William Chapman in 1891. Charles Cameron, born in 1873, died in 1969, married Jessie Paton Templeton Robson in 1908. The Old Parish Register for Morvern recorded that to John Cameron, residenter, Achnagauna, and Janet McGregor a lawful son Duncan was born on 23 July 1823. Duncan Cameron was a cowherd of 17 on the Blenheim passenger list. The Old Parish Register for Morvern recorded that to John Cameron, Achnagaune and Janet McGregor, a lawful son Allan was born on 19 September 1825. Allan Cameron was a cowherd of 15 when he emigrated to New Zealand on the Blenheim in 1840. Allan Cameron, farmer, died on 24 October 1895 at Mangahoe, aged 70. His death registration noted that his parents were John Cameron, farmer, and Janet McGregor; he was born in Morvern, Argyllshire, Scotland and had been in New Zealand for 55 years; and was unmarried. The cause of death was asthma and old age. The Old Parish Register for Morvern recorded that to John Cameron, residenter, Achnagaune, and Janet McGregor, a lawful daughter Anne was born on 23 March 1828. Anne Cameron was 12 years old when she accompanied her family on the Blenheim in 1840. Anne Cameron married Francis Baldwin on 13 August 1852. It is with regret that we have to announce the death of another of our pioneers in the person of Mrs. Frank Baldwin, Senr., of the Turakina Valley, who passed away peacefully on Thursday last, at the residence of her daughter, Mrs. A. Smith, Wilson Street, Wanganui, at the ripe old age of 82. The deceased lady was a daughter of the late Mr. John Cameron, of Turakina Valley, and sister of Mr. Charles Cameron, of Invermallie. The late Mrs. Baldwin was a native of Morven, Argyleshire, and came to the colony with her parents in 1840, and shared all the vicissitudes of the early settlers, eventually settling down in the Turakina Valley, where she has resided for the better part of half a century. The late Mrs. Baldwin leaves a family of two sons, Messrs. John and Frank Baldwin, and four daughters, Mesdames Smith, Earles, Land [sic], and Miss Baldwin, besides a number of grandchildren, to mourn her loss. The deceased lady was a quiet, unassuming character, and endeared herself to all her friends by her hospitality and her many unostentatious acts of kindness, and of the many hundreds of people who have travelled up and down the Valley, no one was ever known to leave the hospitable roof of Mrs. Baldwin without partaking of her good cheer. The present generation have little knowledge of the hardships and privations of the sturdy pioneers who paved the way for them. They had to bear the heat and burden of the day, and it is with deep regret that we see the ranks of these good old folk depleted by the relentless hand of Death. To the bereaved family we tender our deepest sympathy. The funeral will take place to-morrow (Sunday), reaching the Turakina Cemetery at 2 p.m.
John Baldwin, born in 1852, died in 1922, married (1) Elizabeth (Betsy) Cameron (cousin) in 1888, and (2) Rubina May Cowie in 1909. Janet Baldwin, born in 1854, died in 1927, married Henry Earles in 1875. Mary Anne Baldwin, born in 1856, died in 1930, married Alfred Mozart Smith in 1879. 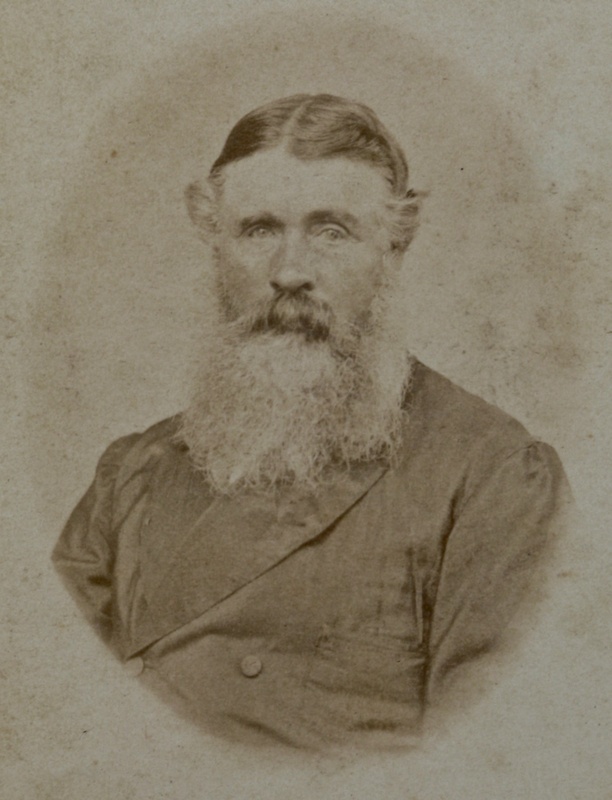 Duncan Baldwin, born in 1858, died in 1859. Maria Baldwin, born in 1861, died in 1920, married Charles Laird in 1881. Francis Baldwin, born in 1863, died in 1931. Elizabeth Catherine Baldwin, born in 1870, died in 1923. Archibald Cameron was 9 years old when he sailed to New Zealand on the Blenheim in 1840. Archibald Cameron married Mary Laird on 4 August 1858. Archibald Cameron took over the Glenmore property from his father. He suffered a fall from a horse in 1867 which affected his mobility, but went ahead and purchased a section in the Paraekaraetu Block at Hunterville, called Mangahoe. He was active in local affairs, being a member of the Rangitikei County Council and the Rangitikei Highway Board. MRS. CAMERON, MANGAHOE. I deeply regret (writes our Wanganui correspondent) to record the death of Mrs. Archibald Cameron, of Mangahoe, which occurred very suddenly on Monday morning of last week. Mrs. Cameron, who was 66 years of age, was the daughter of one of those gallant Irish soldiers who have done so much to build up the Empire. Her husband, Mr. Arch. Cameron, is one of the most respected settlers on this coast. He and his wife were always regarded as perfect land marks of hospitality in the early days on the West Coast of this island. We can only give expression to the hope (says the Chronicle) that the rapidly-thinning rank of these forceful and hospitable pioneers, such as the lady whose death we announce to-day, may be filled by successors worthy of the early settlers of this colony. A grown-up family of four sons and four daughters is left to mourn the loss of a good mother. R.I.P. It is with deep regret that we have to chronicle the death of one of Wanganui’s old identities, in the person of Mr. Archibald Cameron, of Paraekaraetu, who passed away at his residence, Mangahoe. on Thursday last, at the advanced age of 74 years. The deceased gentleman had only been pre-deceased by his wife by a few weeks, and since her death his strength had gradually failed him until he succumbed on Thursday afternoon. The deceased was third son of the late John Cameron, of Turakina. He landed in the colony when quite a boy, and passed the greater part, of his life on the west coast of the North Island. Some forty years ago he took up his residence in the Turakina Valley, and in the olden days, when the hospitality of the pioneers was proverbial, no more hospitable roof welcomed the stranger than that of Glenmore. Some thirty years ago Mr. Cameron met with a serious accident through a fall from a horse, which deprived him of the use of his limbs to a great extent, but the indomitable pluck of the man was such that notwithstanding his infirmity, he was one of the first to take up land in the Paraekaraetu Block, a then unknown country, and buying a large block of country at Mangahoe, took up bis residence there. For many years he took a foremost part in every movement for the advancement of the country and progress of the district, and was for many years a member of the Rangitikei County Council. Of late years increasing infirmity compelled him to forsake the more active pursuits, and leasing his properties to his sons, he has lived a retired life at Mangahoe. His death removes another old land mark from our midst, and many will miss his cheery manner and kindly disposition. Although a martyr to infirmity, his indomitable courage was such that he always looked at the happy side of things, was ever ready to say a kind word, and do a kindly act. He was a man of the greatest integrity, whose word was his bond, and who always enjoyed the utmost respect of all those who knew him or had the pleasure of coming in contact with him. He leaves a grown up family of four sons and four daughters to mourn their loss—namely, Mr. William Cameron, of Waituna; Mr. Archibald Cameron, of Mangahoe; Mr. John Cameron, of Glenorchy; and Mr. Hugh Cameron, of Glenmore; Mrs. Balmer, Mrs. J. Morgan, Mrs. W. Simpson, and Miss Cameron, to whom we tender our deepest sympathy. The funeral will take place this afternoon, and will reach the town bridge at 2 p.m.
William John Cameron, born in 1859, died in 1930, married Margaret Eleanor Cameron in 1882. Mary Bridget Cameron, born in 1861, died in 1937, married John Duncan Cameron Balmer in 1886. Janet Agnes Cameron, born in 1863, died in 1932, married John Charles Morgan in 1886. Archibald Cameron, born in 1865, married Catherine Euphemia Gair in 1906. Catherine Cameron, born in 1868, married William Simpson in 1890. John Cameron, born in 1870. Hugh Joseph Cameron, born in 1874, died in 1957, married Helen Jane Spurdle in 1899. Elizabeth Cameron, born in 1877. The Old Parish Register for Morvern recorded that to John Cameron, crofter, Achnagauna, and Janet McGregor a lawful son Dugald was born on 15 June 1833. Dugald Cameron married Margaret Mitchell on 27 January 1862. In 1869 Dugald, with his brother Charles, was tried and convicted of keeping an illicit still (see above under Charles Cameron for details). Dugald Cameron died on 17 February 1919. The Death Notice in the Wanganui Chronicle of 18 February 1919 said: “Cameron – On the 17th inst., at Wanganui, Dugald, son of the late John Cameron, Invermaillie, Turakina Valley; aged 86 years.” The death registration noted that he died at 1 Parnell Street, Wanganui, from Turakina Valley, and that he was a farmer. His parents were John Cameron, farmer and Janet McGregor; he was born in Scotland and had been in New Zealand for 79 years; was married in Turakina when he was about 32 to Maggie Mitchell, now deceased, and there was no living issue. Janet McGregor Cameron, born in 1866, died in 1867. Annie Cameron, born in 1868. Annie Cameron, born in 1877. The Old Parish Register for Morvern recorded that to John Cameron, labourer, Achranich, and Janet McGregor a lawful daughter “Mary” was born on 9 July 1835. Marjory Cameron was 5 when she travelled to New Zealand on the Blenheim in 1840. Marjory Cameron married Cumberland Reed Scott McDonell on 31 August 1858. Cumberland Reed Scott McDonell was the son of Archibald McDonell and Annie McRae, and the younger brother of James McDonell, an early Rangitikei settler, who married Anne Cameron, daughter of Donald Cameron and Christian McLean, also Blenheim passengers. Another of Wanganui’s oldest settlers has joined the great majority. Mr C. R. S. McDonell, one of the best known and most highly respected residents in the district, having died last night at the age of 75. The late Mr McDonell was a native of Invernesshire, Scotland, and came out to the colonies in 1852, settling in Victoria for a few years, and then coming on to New Zealand, taking up his residence in Wanganui. He engaged in contracting for some time, and then purchased the Red Lion Hotel, which he conducted for some years. He subsequently owned hotels in Bulls and Turakina, and then entered into farming pursuits in the Turakina district. Two years ago his health failed, and he came into Wanganui to reside. His many friends will regret to hear of his death, and keen sympathy will be felt towards his family – three sons and four daughters in their bereavement. Kate McDonell, born in 1858, died in 1921. Janet McGregor McDonell, born in 1859, died in 1941, married James Campion (son of Blenheim passenger) in 1883. Eliza McDonell, born in 1861, died in 1896, married Duncan Cameron (cousin) in 1888. John McDonell, born in 1865, died in 1892, married Helen Brookie in 1891. Cumberland Reed Scott McDonell, born in 1866, died in 1866. Annie McDonell, born in 1867, died in 1943, married Francis Herbert Cane in 1894. Charles McDonell, born in 1871, died in 1943, married Mary Sarah Smith in 1895. Alexander Cumberland Reed Scott McDonell, born in 1872, died in 1941, married (1) Margaret Clifford Lucy McDonald in 1899, and (2) Flora Cameron in 1910. Flora McDonell, born in 1875, died in 1954. Mysie McDonell, born in 1879, died in 1946. A John McKinnon, 20, labourer from Borline, Skye, recommended by Tallasker, appeared on the initial list of passengers on the Blenheim, with his name crossed out, but then added again at the end of the list. He was also included on subsequent lists. The following information requires confirmation. John McKinnon may not have stayed long in Wellington. Along with 50-60 settlers, including several from the Blenheim, a John McKinnon left for Hobart on the Lord Sidmouth on 4 February 1841, barely six weeks after arrival. The passengers arrived by the Lord Sidmouth, who are about sixty in number, amongst other unfavourable reports state, that, in consequence of the frequency of earthquakes, of which several shocks had been experienced by the settlers since their arrival, they dare not build stone buildings of any size. We were not before aware that the Colony was visited by such a calamity, and we trust the report will turn out to be unfounded. We give it, however, as we received it; and shall be most happy to have it in our power to contradict the assertion. FEB. 19.-Arrived the barque Lord Sidmouth, Marr master, from Port Nicholson 4th inst. Passengers – Mr. Hind, Mr. W. Blyth, Dr. Campbell, Dr. Sutherland, Miss M. Rankin, H. Goodwin, wife, .and 6 children, G. Boonger and wife, G. Murray and ‘wife, J. Blyth and wife, C. Morris, wife, and 6 children, P. Shields, S. Wilson, J. Gordon, M. Briton, R. Whitewood, J. Cromworth, – Walker and wife, T. Bonnie, J. Stephens and wife, – Kilgrove, wife, and 5 children, H. M’Kinnon, J M’Kinnon, J. Hichman, wife, and child, J. Lockwood, J. Simmons, J. Chisom, M. M’Eachan, – Eago, P. Lanachar, and Mrs. O’Brien. There is no further information established for John McKinnon.